There are only a few things that we wear day after day, possibly every day: a ring, a handbag, a trench coat or overcoat, dress shoes. Many people take particular care when selecting these items, looking for versatility and longevity, and spend more for the highest quality so that they present well. But what is something that we are seen with every single day, throughout the day? And how does that cell phone fit into your wardrobe? YoUR lOoK? We are probably going to divide into two distinct camps here: the I-Don’t-Give-a $&@# camp and the My-iPhone-Cover-Is-My-Surrogate camp. I fall into the second camp, but I feel like a fool about that. My first cell phone was a cherry red Nokia 5110. I loved that phone. The Red Phone was replaced with a silver flip phone that had a camera. Then I got an iPhone 5, for which I bought a beautiful anodized red case. Unfortunately, I left the case in the sun (while the phone was wearing it) and it blistered, which surprised and unnerved me. A series of uninspired, and not anodized, cases followed. I upgraded to an iPhone 7 three months ago. 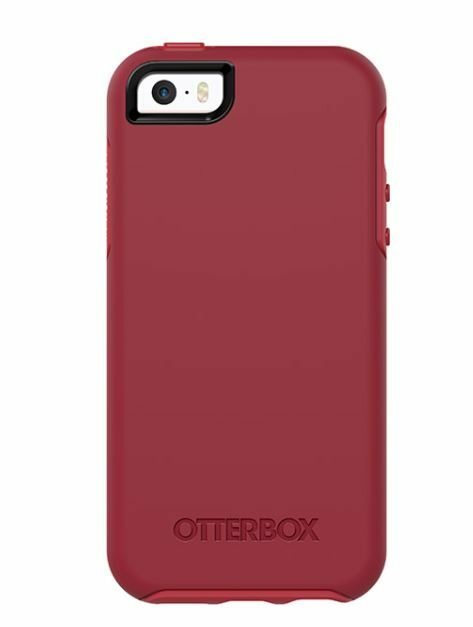 Looking for RED, I bought a red-seeming Otter Box at the Verizon store and hated it before I’d even arrived at home. 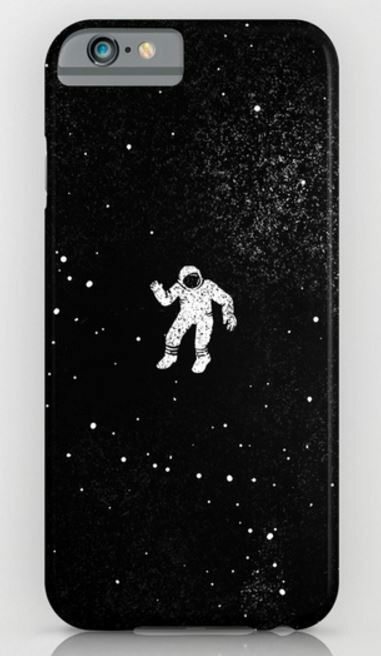 From this point, I entered a half-life purgatory of longing and searching for an iPhone case that was both capable of delighting me and expressing the essence of my person in clear and unequivocal terms to everyone I might encounter during the day. There are so many options on the Internet that I — YOOX Scavenger — felt overwhelmed. 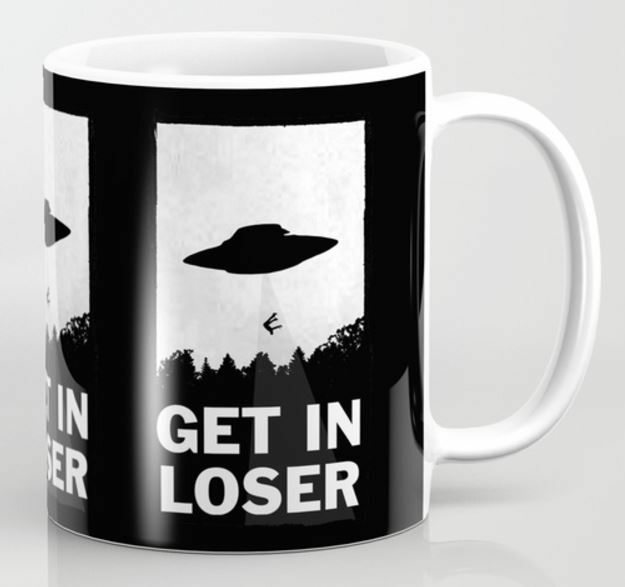 So I launched a targeted search beginning with “most stylish iPhone cases” on Google. This led me to curated collections by Wired, Vogue, Harper’s, and similar authorities. 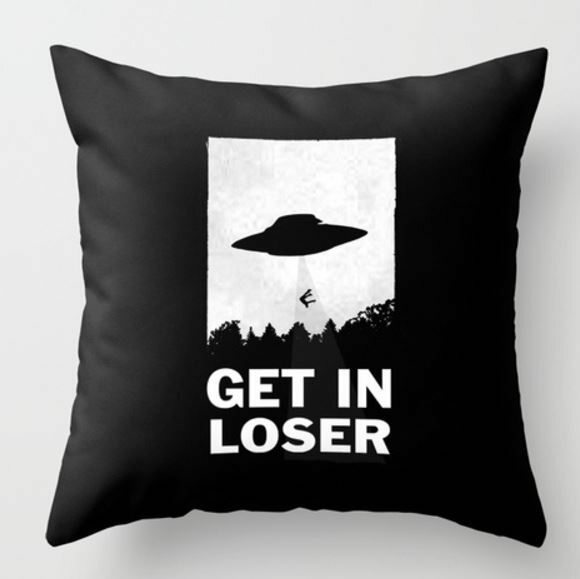 This, in turn, led me to Society6, which narrowed my search down to approximately one million options, most of which can be printed on not only an iPhone cover but also a mug, t-shirt, throw pillow, and shower curtain. If the case were selected purely for my amusement, and would not be seen by others, I might choose this one. It makes me laugh every time I see it. But the case is seen by everyone: work colleagues, clients, neighbors, the cats. So: reSpECtabLe! Or, at least, Not Bonkers. Visual harmony is important to me. I find it soothing. I wanted a case that would go with pretty much anything. Is that possible? A neutral color or metallic would, but . . . so dull. Since I wear lots of neutrals, I thought to go with color. And because I like abstract and contemporary art, I decided to look for a tiny piece of original art. I picked this. Picture it with pinstripes. But would it clash horribly on the occasions when I wear a print? Can you guess how quickly this spun out of control? I picked this abstract in neutral colors. Picture this with The Pieced Wonder. And then this person, floating in the cosmos alone, weightless, adrift, spoke to me. Some days I feel like that. I love maps, so my last selection was this freehand diagram of our solar system, with Pluto reinstated as a planet. Here, The Photographer lodged a protest. ArE yOU iNSane? Star Wars and Star Trek belong to you, but not SPACE. Shorty after all of these covers arrived, I confessed this ridiculous indulgence (of mental energy, more than money) to a dear friend — a brilliant lawyer and centered, principled, spiritually-advanced woman who owns only four sweaters. And she confessed right back at me that she had recently been in agonies over the selection of a cover for her iPhone, which had involved the purchase and return of numerous phones and covers from a variety of sources before her fevered heart settled on the one pictured at left. And thus, another piece of evidence demonstrating that everyone is crazy. I challenge you, Dear Readers, to share your cell phone agonies: the stupidest and most superficial questions you’ve asked yourself, the unfulfilled desires you’ve suppressed, the longest moments of indecision you’ve experienced, your most intense regrets . . . over a $20-30 expenditure. Coda: Will I ever change my cell phone cover to coordinate with a particular outfit? Probably not. I just like the possibility of doing so. Have. A. Fantastic. Holiday. Weekend. 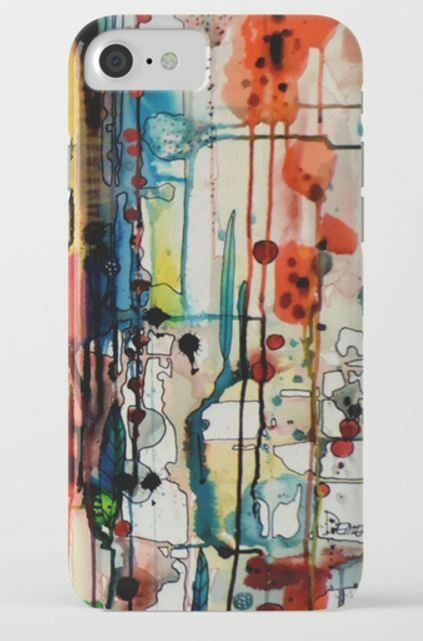 I had a cell phone case once, and I spent some time picking it out (Peter Max), but I pretty quickly decided I didn’t like the extra bulk and ditched it. I have a Samsung phone, and they are seemingly indestructible anyway.Next time I might ask for a white on so I can find it more easily in my bag. BUT: for the first time in 30 years I will be living in a home that requires shower curtains. (I always had glass doors.) Nice shower curtains are $70! And there are a billion choices! The decision process is the same, except I can’t have five of them. Can I? I want Han Solo in Carbonite AND lovely birch trees AND the solar system as above. I might be buying shower curtains in stead of shoes this year. Shower curtains are expensive. So much fabric and all one piece so . . . big looms, I guess. (King-sized sheets are also much more expensive than queen.) 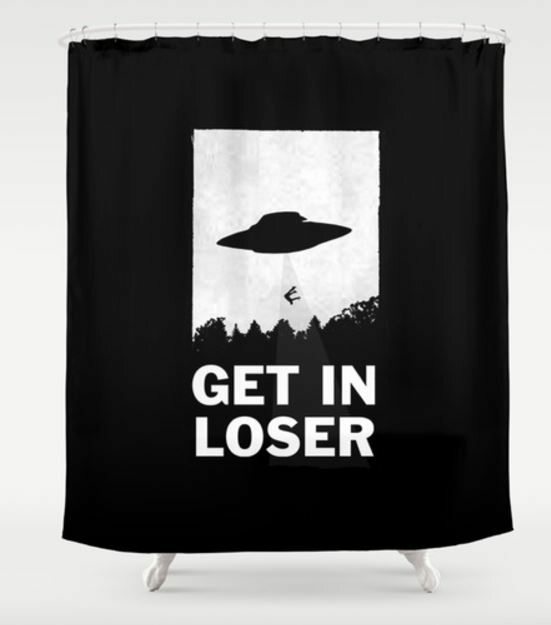 I think you should buy the shower curtains that speak to you and tuck them away for future use. It’s fun to refresh the bathroom periodically with a new shower curtain and that’s much cheaper than re-upholstering furniture. Enjoy, Roberta! P.S. With a shower curtain rod, you now have a good spot for line-drying clothes, too. 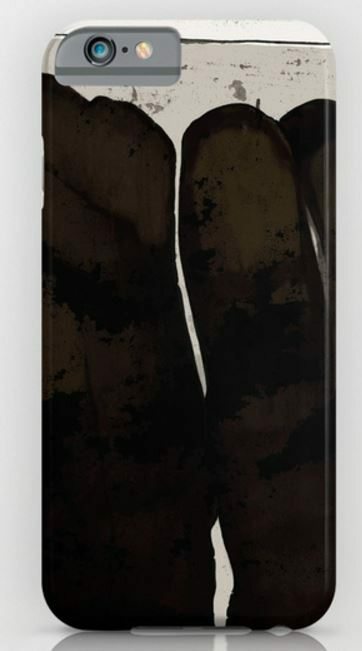 As a writer (and as The Photographer), I love my iPhone case! It actually looks like a little book! It works better after a little loosening up. At first it’s hard to fit bills into the billfold part, but it gets easier once the leather stretches a bit. I like the book case! But, I confess, I like the sleek iPhone design, so I usually just get a boring bumper case for mine. 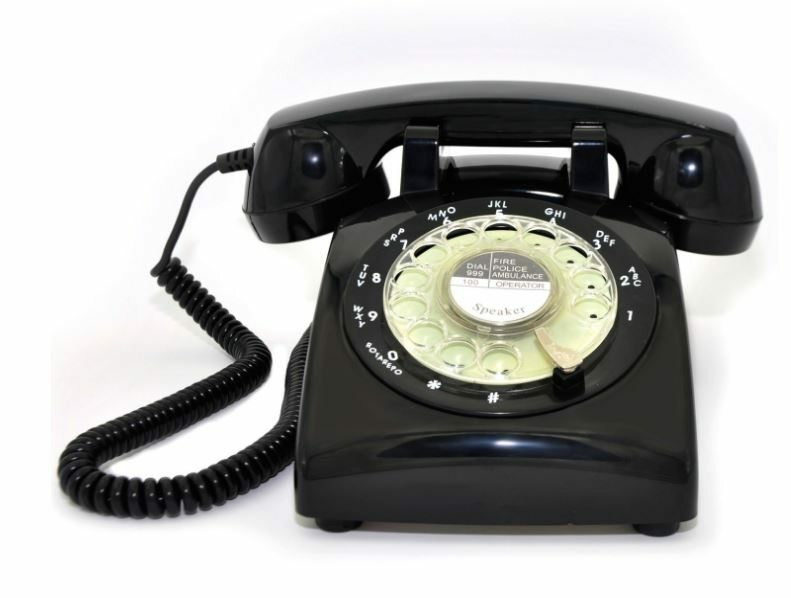 My teenage daughter gave me my cell phone cover… it is nothing I would personally pick out. It’s neon pink. It made me shiver a little when I first saw it, and not in a good way. BUT! Wouldn’t you know – that darn phone never gets lost for long – I can spot it a mile away, and in the dark recesses of any purse it shows itself! 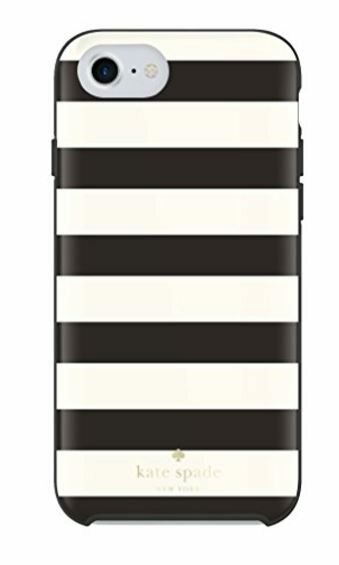 In theory I love the idea of cool cases, and a few generations ago I had a little Kate Spade polka-dot one that I loved to pieces. Literally. Which was the problem — my iPhones take a beating, whether being tossed around in my purse or accidentally onto the floor and anything else you can think of. So I picked the Rose Gold 6 because I really liked the color (unlike anything else in my wardrobe or jewelry, and small enough I won’t get sick of it), and then got the matching indestructible case to go with it. Not too creative, but form has to follow function for me when it comes to phones. I’m in the market for a new phone case and love the little book one, Michael. Was leaning toward vintage library card case like this, but may have to reconsider. And Directrice, if I added up the time I’ve spent agonizing over unimportant (and/or inexpensive) decisions and compared it to the far less impressive amount I’ve spent making choices about the big stuff…well, I won’t be doing that. Some of my best decisions took little to no time, and some of my worst, I agonized over for ages. FYI: If your phone goes for a swim, covering it in rice really does work. Some of my best decisions took little to no time, and some of my worst, I agonized over for ages. FYI: If your phone goes for a swim, covering it with rice really does work. Did I mention it looks GREAT? The thing I love about writing this blog is how smart the comments are. Just in this entry, you see a range of thoughtful responses to a very light topic. 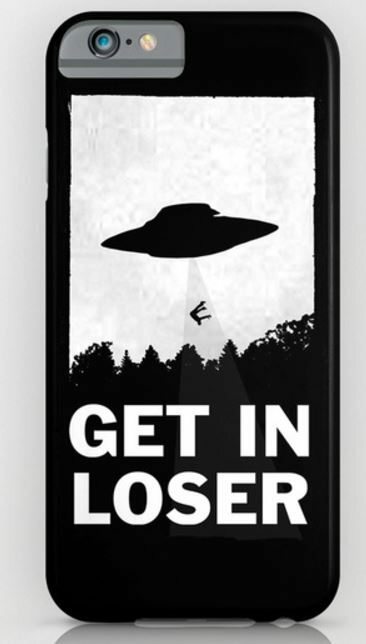 Everyone has a slightly different approach to phone cases, and everyone knows the score. Here’s to you, Amy, and your great looking wood case — may you and I never drop our good-looking phones except in carpeted locations! 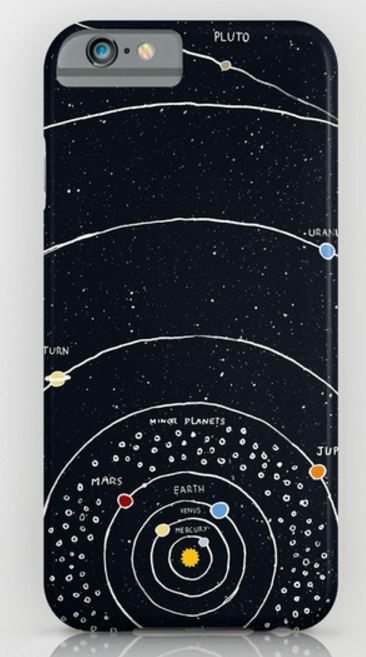 Welp, honestly, I never really give a thought beyond hand-feel to my iPhone case. But NOW, a whole new world has opened to me. Thank you, I think. 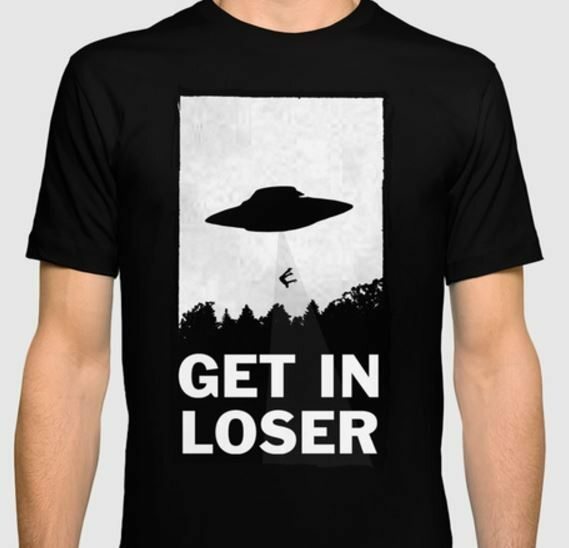 Or maybe not. I hope that “welp” was not a typo. I’ve been needing a puckish introductory word like that in my life! Thank you, Hope. Also, your recent posts about your hunt for khaki pants inspired me. I have a pair of decent fitting khakis, but I only wear them when I have completely given up on dressing myself, because they seemed so unfashionable. I don’t see any other bloggers making interesting outfits with khakis. But I liked the outfits you created. So I pulled my khakis from the corner of my closet where I hide them, paired them with a black shirt that had a bit of architecture, and absolutely loved the result. Thank you. Jeffiner — Your comment made my day! I love to be useful and I like to think that my blog is a little different than the 1 million other style blogs on the Internet. So, thank you!